Following on from the new Google algorithm rolled out last week, the Google Penguin update has been having a big impact on the rankings of numerous sites and hitting websites left, right and centre with a penalty message – sending a wave of panic throughout the online world. Therefore, this update has been targeting any sites which they deem to have violated their quality guidelines. Basically, Google’s rules and regulations remain exactly the same as when they were first released, however, now they have updated their algorithms in order to catch up with those who had found loop holes in how to defy their quality guidelines to achieve higher rankings. Do not litter web pages with irrelevant key words. Avoid the use of hidden links or hidden text. Avoid ‘doorway’ pages created just for search engines, such as affiliate programs with no original content. Do not create domains with substantially duplicated content. For sites that are part of an affiliate programme, try to ensure that your own site adds value. Provide relevant and unique content. Do not create pages with malicious badware such as trojans or installing viruses. Avoid ‘cloaking’. Make your site content for users rather than the search engines, and do not attempt to deceive users by showing different content to the search engines compared to what you show them. Do not use unauthorized computer programmes to submit pages, as these violate Google’s Terms of Service. Avoid tricks and loopholes which will enable you to improve your search engine rankings. Instead, focus on how useful your site is to online users. Do not participate in link schemes with the intention of improving your site’s rankings. Links to web spammers or ‘bad neighbourhoods’ on the web should be avoided, or your own site may be impacted upon negatively as a result. 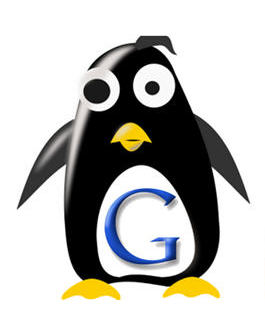 These guidelines are not new, but you may wish to look over them again more carefully in order to avoid any adverse effects to your site as a result of Google Penguin. If you wish to find out more about any of Google’s quality guidelines or guidelines in general then you can find them in their help centre. If you are looking for an SEO Company that can take care of your online marketing, please do not hesitate to get in touch and speak with one of our experienced SEO experts.